Sometimes you don’t have the time, money, or energy for an extensive kitchen remodelling project. With kitchen cabinet refacing, you replace the doors and drawer fronts, bringing your kitchen back to life with fantastic results. 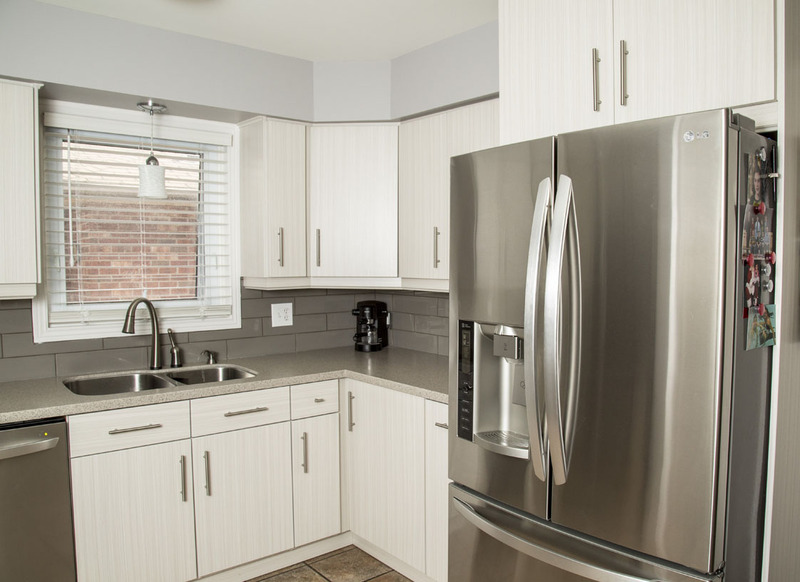 Kitchen cabinet refacing can be an inexpensive way of updating your kitchen style with new doors in a variety of styles, materials, colours, and stains. We provide a huge selection of drawer fronts and doors. Materials such as thermofoil wrapped MDF, oak, maple, cherry (available in a wide range of stains and colours), raw MDF, and the prestige line. Call for your free in-home consultation to help select the perfect design. Refacing means no construction mess, no electrical or plumbing surprises, and it takes a fraction of the time when compared to installing a whole new kitchen. Why Reface rather than Replace? 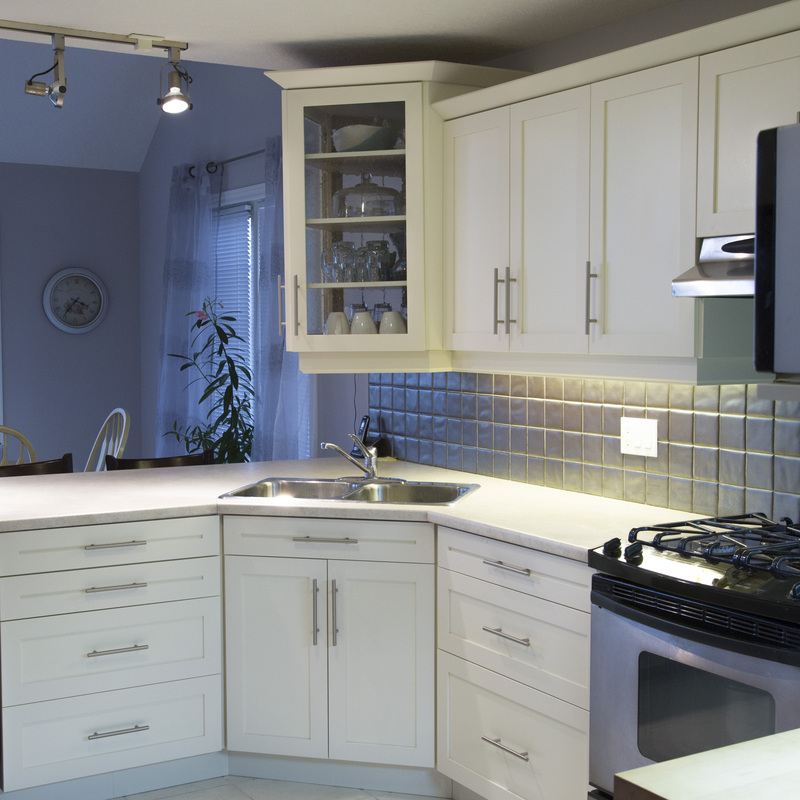 Since we’re only altering faces and sides, in most instances you don’t need to remove any of your cabinets. No need to move out of your kitchen! Your kitchen will be fully functional during the refacing process. A full renovation can take a long time — possibly weeks. With refacing, we are typically finished within a week. No demolition means cutting down on much of the mess. 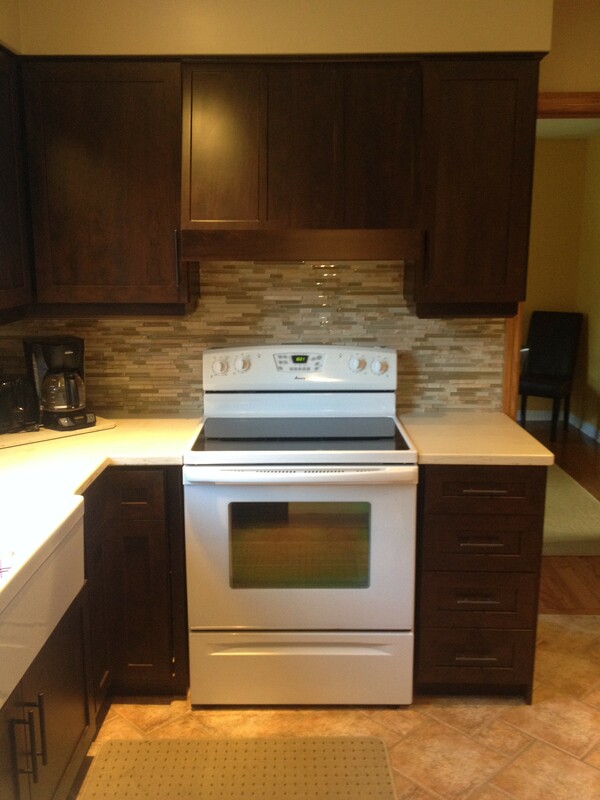 Plus, you don’t need to move out of your kitchen during the reface. Just because we’re refacing doesn’t mean we can’t make alterations. Convert lower cabinets to pot-and-pan drawers, swap out cabinets for improved additions, or in this case, a custom vent hood. 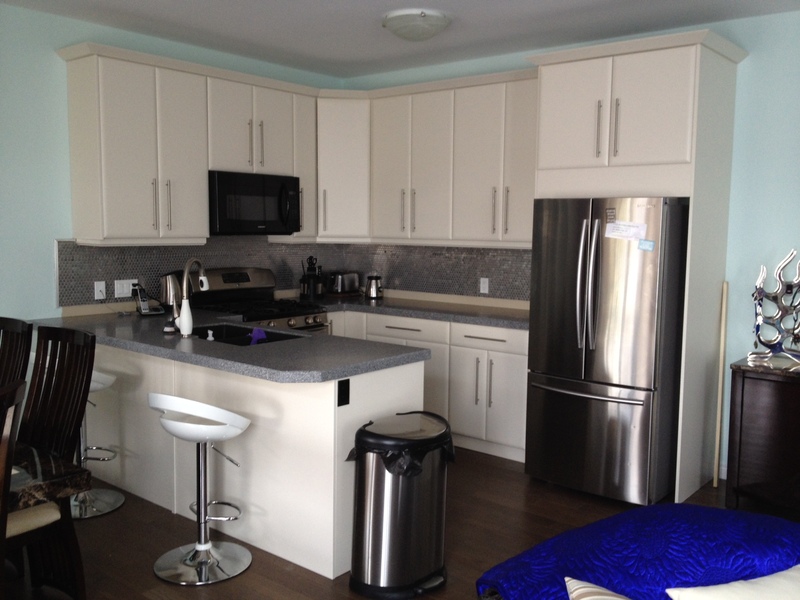 Cabinet doors are custom made to your sizes. Wood doors in many species and styles. Thermofoil doors completely finished in a wide range of colors. Paint grade wood and MDF available as well. Now is the time to update! You can add islands, swap out cabinets, change components. 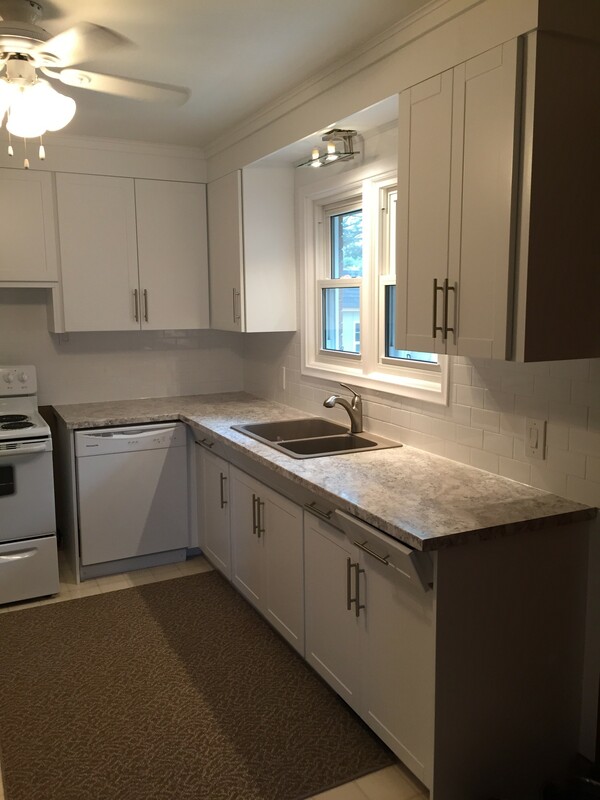 Refacing is just one aspect of the overall remodeling project. Not sure what to do with the exposed cabinets? 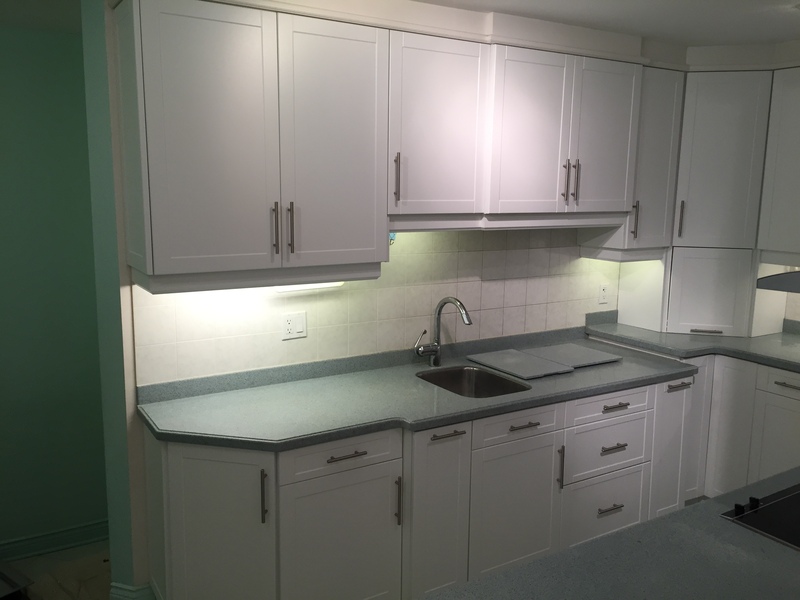 You can: a) leave the exposed cabinets as they are (best if your cabinets match the new doors), b) paint them or c) cover the exposed area with a matching veneer or laminate.